Victor Yoran was born in Moscow, studied under Mstislaw Rostropowitsch and in 1962 ended his studies as prizewinner of the International Tschaikowsky Contest. He then went on extended tours through the Soviet Union, Romania and Bulgaria and gained distinction during the Prague Spring. In 1969 he illegally left the Soviet Union and first went to Israel. There he taught at the Rubin Academy of Music and conducted a chamber music orchestra. He repeatedly distinguished himself as a soloist in the Israel Philharmonic Orchestra, playing among others cello concertos by Schumann, Lalo and Khatachaturian. From Israel Yoran went on various concert tours to England, where together with the Royal Philharmonic Orchestra he excelled with Dvorak´s cello concerto. Yehudi Menuhin, who got to know Yoran at that time, called him one of the most impressive violoncellists he had ever heard. Further tours, mainly with works for the solo cello, took Yoran to the United States of America (Philadelphia, Washington D.C. and New York) and to Norway. 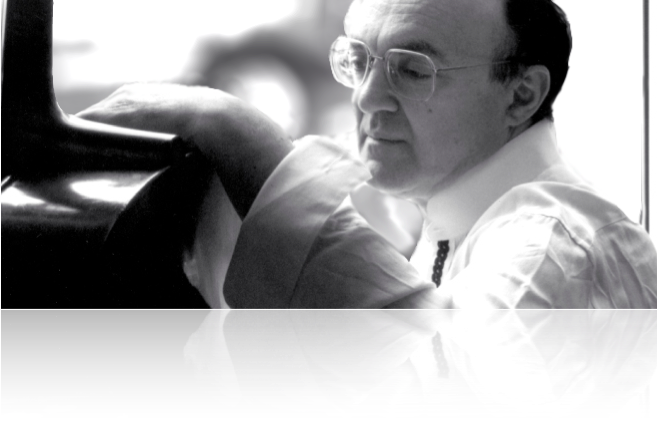 In 1976 Yoran was engaged as first solo cellist by the Radio Symphony Orchestra of Frankfurt. With this orchestra he made a name for himself e.g. together with conductors such as Eliahu Inbal, Vaclav Neumann and Vladimir Ashkenazy, with whom he played the cello concertos of Honegger, Prokofiew, the double concerto of Brahms, as well as “Shelomo” of Bloch and “Don Quixote” of Richard Strauss. Yoran presented his extensive chamber music repertoire in duo evenings with the pianist Irina Edelstein, as well as in numerous radio recordings. In 1992 he made a CD recording of Bach´s six solo suites. In 1993 Yoran returned to the country of his birth for the first time in 24 years. In St Petersburg he played with the equally highly individualistic pianist, Valery Afanassiev and the violinist Lydia Dubrovskaya during the festival of the “White Nights of St Petersburg”. The newspaper Berliner Tagesspiegel wrote about Yoran´s composition “Duo for Violin and Tuba”: “In order to perfectly reconcile these two contrary instruments, Yoran commands over “taste and great knowledge of the science of composition”, to freely use the great words of Joseph Haydn about his colleague, Mozart”. In 2005, Yoran for the first time made cello recordings of the two violin works of Bach. He lives in Berlin. His touch is marked by spontaneity and tonal subtlety, combined with a musical intelligence which enables him to penetrate the tonal surface into deeper levels of compositional creativity. Yoran plays an Italian instrument of Giovanni Grancino of the year 1700.